The inter- and multidisciplinary conference aims to examine, explore and critically engage with issues related to the new literatures in English. 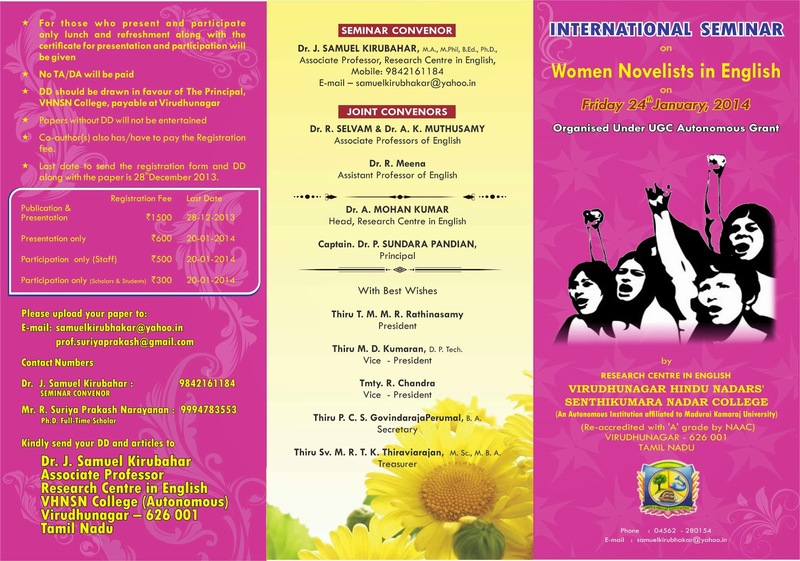 It will assess whether the contemporary writing conforms to the newly-emerging paradigms of world literature. It will focus on global issues and make an attempt to critique matters of culture, ideology, nationality, ethnicity, hybridity, subjectivity, language, class and gender. We invite well-researched papers on the following sub-themes. 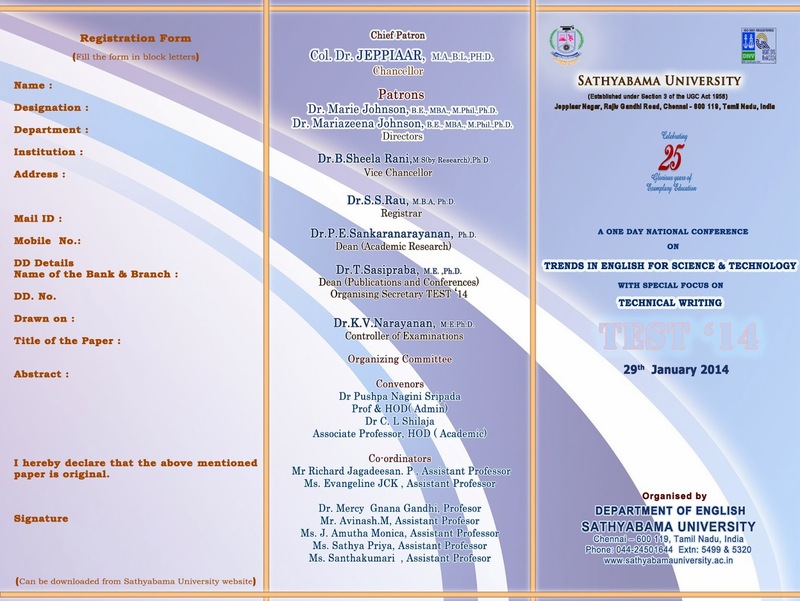 The Department of English, Sathyabama University, is organizing a one day National Conference on "Trends in English for Science and Technology” with Special focus on Technical Writing - 'TEST 14' on 29th January, 2014.